- Each email you receive passes through Thunderbird's leading-edge junk mail filters. Each time you mark messages as spam, Thunderbird improves its filtering so you can spend more time reading the mail that matters. Thunderbird will also use your mail provider's spam filters to keep junk mail out of your inbox. 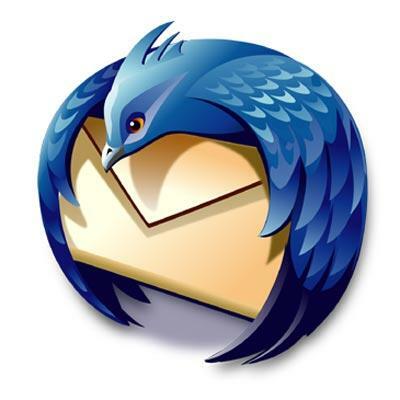 - Thunderbird protects you from increasingly common email scams "also known as “phishing” which try to fool you into handing over your passwords and other personal information. Thunderbird will tell you when it thinks a message might be a scam. - Thunderbird provides enterprise and government grade security features including S/MIME, digital signing, message encryption, support for certificates and security devices. Attachments are never run without your express permission, protecting you from many worms and viruses. - The new Software Update feature makes it easy to get the latest security and feature updates to Thunderbird. Thunderbird automatically downloads these small updates in the background and prompts you when they are ready to be installed. - Select new button controls for your toolbars, install extensions to add new features, or change the look of your browser with themes the way Thunderbird looks and works is under your control.